Have you been thinking about volunteering lately? Have you been wanting to help out in some way? If you have that fire inside of you, let LoveYourself help you ignite it. If you're like us, you've probably been burning to volunteer for some time now. You aren't alone. Many of us were drawn into this advocacy because we knew we were hot with this passion, knew we needed to help in some way. And when we became part of LoveYourself, that passion -- that fire -- grew and spread, and allowed us to do amazing things. If you want to spark change, let LoveYourself be the way you do it. LoveYourself is a community of passionate, committed volunteers who are taking on the issues that matter to people like us: self-worth, being MSM, and living with HIV. Do you think you could share our passion? Are you committed to our advocacy? LoveYourself has always been a 100% volunteer-led organization. We are what we are today because of the passion that inspired our volunteers. And while we've grown in numbers, we've still kept that fire -- that spirit that makes us who we are -- alive. Today, we're looking for talented volunteers who have that fire in them: who are passionate about our purpose and can commit time, pour energy and invest love into our advocacy. Want to be a part of LoveYourself? 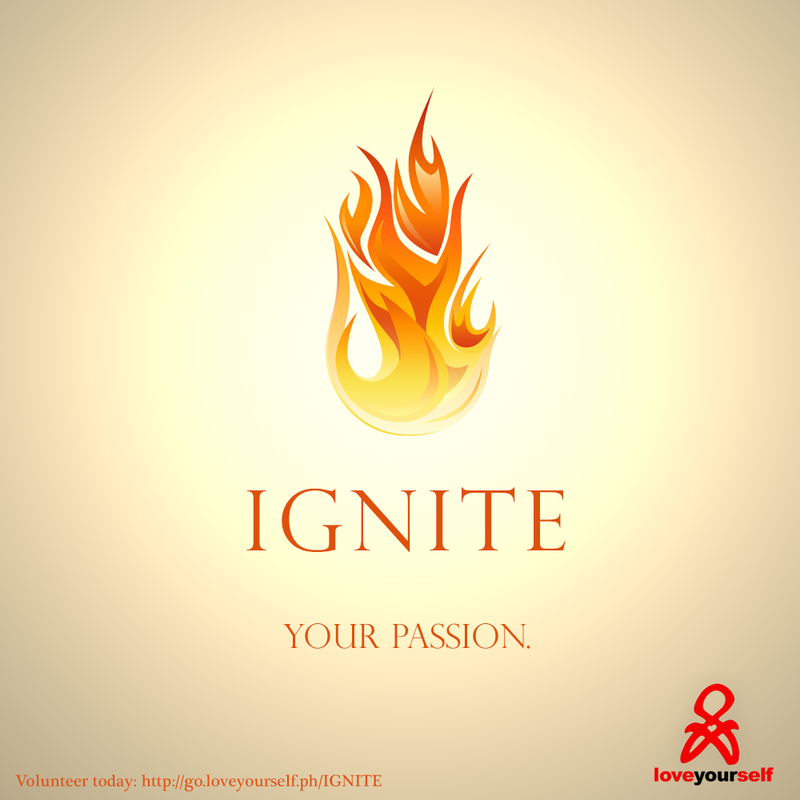 Sign up to volunteer on our website: go.LoveYourself.ph/VOLUNTEER and block the 1st of March, 2014 (Saturday) for the LoveYourself Ignite Batch Orientation. We'll be in touch with sign-ups about the details. NOTE: The sign-up period for this batch ends on 23 February, 2014 (Sunday), after which all sign-ups will be entertained during the next recruitment cycle. LoveYourself Platinum now in Alabang!